In the City of Good Neighbors, you’ll find a growing population of hardworking people. Whether it’s a delivery business, a subcontractor, a construction company, or a ridesharing service, the right vehicle makes the job so much easier. The Ford Transit Connect is the van that fits virtually any commercial purpose. Discover the 2018 Ford Transit Connect van for sale in Hawthorne at your local dealer, South Bay Ford Commercial. Both the Ford Transit Connect passenger wagon and cargo van receive upgrades for 2018. · In Transit Connect Titanium and XLT Passenger Wagon models, premium packages are available to elevate the in-vehicle experience. · A SYNC 3 6.5-inch LCD touchscreen combined with a rearview camera are available on the XLT Cargo Van and Passenger Wagon. · On XLT and Titanium Passenger Wagon trims, automatic headlamps are standard equipment, and optional on the XLT Cargo Van. · The XL and XLT Cargo Van trims both have available fixed glass for the second row including a steel mesh window guard. When you need lots of space, the 2018 Ford Transit Connect from South Bay Ford Commercial delivers. With up to 145 cubic feet of cargo space inside and a payload rating of 1,610 pounds, you’ll have no trouble lining up loads to haul. The vast interior can accommodate items up to four feet wide, four feet tall, and seven feet long. 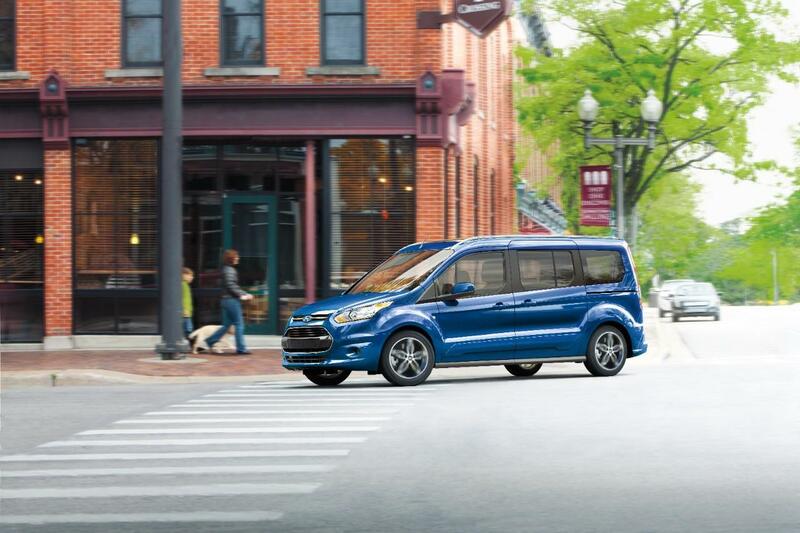 And because the driver shouldn’t feel like an afterthought, the Ford Transit Connect has an available SYNC 3 infotainment system, comfortable seating, and cruise control. With standard-equipment vinyl floor covering and vinyl seats, a dirty jobsite won’t make your work van totally filthy. 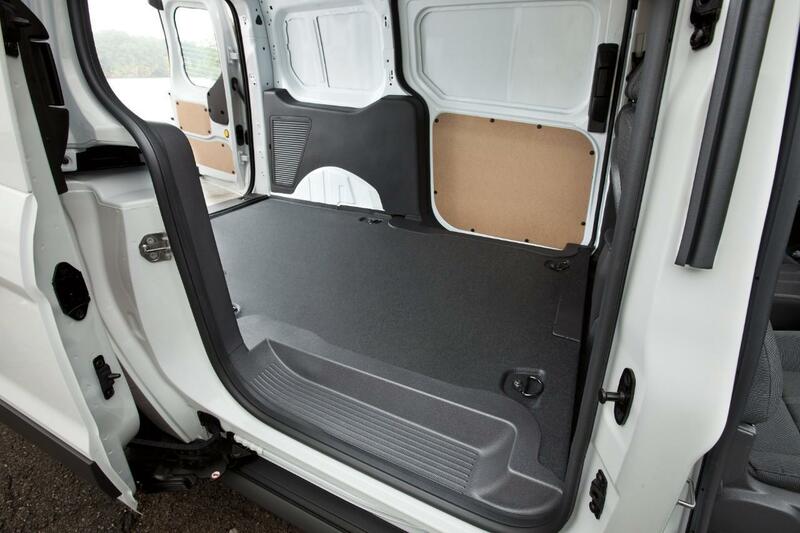 The cargo area is easily configurable for whatever your needs are. If you need a mobile workspace, the 2018 Ford Transit Connect is a good fit. If you need shelves and bins, the Transit Connect can be upfitted with ease. Sturdy Macpherson struts in the front and twist-beam rear suspension can handle the rugged terrain on the worksite, and metal mesh window guards protect the available second-row windows. If you are a taxi driver, an Uber or Lyft driver, you drive around a sports team, or you just have a really large family, the 2018 Ford Transit Connect is up to the task. There is seating for up to seven people with the Transit long wheelbase (LWB) in its three rows, and rear-seat passengers can control their own temperature with Rear-Seat Climate Control. Visibility is fantastic with the fixed-glass rear liftgate and tall side windows. Wide-opening sliding side doors and available rear barn doors make getting into the Transit Connect easy as can be. Every 2018 Ford Transit Connect van for sale in Hawthorn is equipped with a 2.5-liter Duratec I4 engine with iVCT, making 169 horsepower and 171 lb.-ft. of torque. Paired with a 6-speed SelectShift transmission, the Transit Connect can tow up to 2,000 pounds. The right van for the job – any job – is the Ford Transit Connect. You’ll find the 2018 Ford Transit Connect van for sale in Hawthorne, CA at South Bay Ford Commercial, where honest service and dedicated sales professionals are always ready to help.